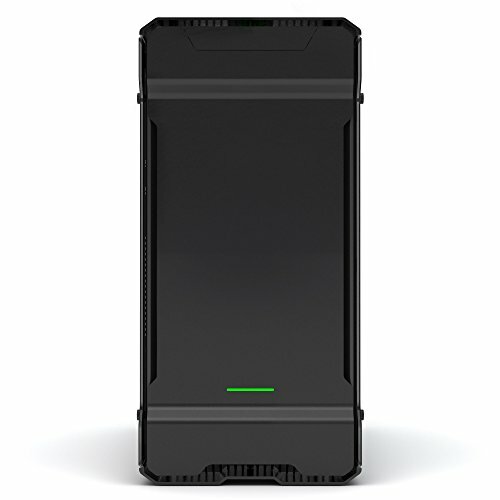 So first off, decide on the Evolv ATX Glass, came down this case and the Define S. This one won out due the tempered glass window, just looked awesome, also looking at the case and reading SOME reviews this appeared to be awesome for water cooling and with the that large top to it could obviously fit a large rad up there with fans and still have room to move. First mistake. Figured out on the way home from buying the case that I had mis-read some reviews and found some other reviews on youtube in taxi that showedmy error, i.e the you had to mount the rad and fans below the radiator tray. Once I got home I confirmed my fears with a ruler. My 360/60mm radiator would fit in but with radiators would come halfway down to just over the edge of the CPU water block thereby making tube runs very hard if not impossible and also blocking the use of the built in MB water block on the Formula VIII. Thought about mounting in front but that meant removing the tray that sits on top of HDD bays and removing the HDD bays, I wanted to use them. So after allot of measuring, thinking, youtube watching, forum searching I decided on 2 x 240mm radiators, 1 30mm Xflow up top and 1 45mm at front. First trip to the online shop done, radiators, more fittings, new res as old one wouldn't fit either, a NZXT HUE+ for lighting and hey whilst I am there.. lets watercool the GPU as well. Budget of $200 for case well exceeded. The Build. Take 1. Luckily for me the parts shipped quickly and they arrived for the following weekend build. Honestly the build was easier than I thought. The case is a joy to work in once you take every thing apart. I had spent my time during the week modifying the top of case so I could fit the fans up into the top cover so I could get the clearance to ports and keep it clean and open inside, so it was all ready for the weekend. I manged to use allot of the tubing from the SWA build in the new case as the runs are mainly just single right hand bends now so just needed cutting to size. I only had to do two new bends, the GPU to CPU and the pump to GPU. The GPU to CPU proved the hardest due to two 90deg bends only 35mm apart. Managed to somehow fluke a twisted double bend that looks like skill but was more just pure luck. Filled the run up with nice new mayhem's pastel blue and started to let the system leak test and vent air. Next morning I got to work cleaning up the cable runs at back ( nightmare ) and fitting the NZXT HUE+. Cue disaster music. After spending half the day trying to find my misplaced NZXT HUE+ ( It tried to end it life early by jumping off table and hiding behind another PC) I Couldn't get the lights on the HUE+ to fire up, they had a dim glow on a couple of leds but thats it. The power connection is a dodgy 4 pin MOLEX and I had a bugger of a time getting it to plug in, eventually the pins came out! Spent most of day on this and should have left it all and re tried the next night after work, but stupid me decided to try one more thing... lets just say wires got crossed ( literally) and some sparks and a "click" and a dead motherboard...................................... really dead.............................. no idea if GPU, RAM or CPU were still alive either. After much testing of PSU and Forums I figured out it really was fried so I need to strip down the system so I could get out the motherboard and see if I could get it replaced, I figured best case I could get the MB replaced under warranty with all other parts being fine, worst case, no warranty and all other part fried.. any where in between I would be happy. So I proceeded to drain the loop, luckily I used a similar drain system as in SWA so that SHOULD not have been a issue. There are more components now and its a lot tighter so the fluid just didn't drain out like before. No Problems I thought, once I had most of the easy fluid out I hooked up my fill line to one of the front rad ports and would simply blow through the remaining fluid, the GPU is really constrictive. Well.. lesson learnt and not adhered to from previous videos I had watched, I had forgot I had removed a port cap from the top rad to let more air in for draining.. one large lung full of air later and i had blue fluid dripping from my face, the wall and the pc.. lovely!! This PC was really annoying me now!! PC was stripped down, dried, etc and finally things were going my way, motherboard replaced same day under warranty and a quick bench test when I got home showed GPU, RAM and CPU were all ok!! finally a win! CPU: Same as SWA, a 6700k. This time though I have managed to OC to it 4.7 stable, could only get 4.5 from SWA stable. New motherboard maybe? GPU: Same Gigabyte Xtreme Gaming 980ti as before but this time I watercooled it with a EK Plexi/Nickel block and black backplate. I think it looks awesome and it is running now with a OC to 1525 Mhz and doesnt go past 45 deg at 99% bench. I am waiting for the Nvidia 3030Ti Titan Quad SLI if you are wondering why I dont have a 1080 in this build... insert sarcastic smile here. Cooling: Now using 2 alphacool rads, one in Xflow to give the cleaner look I like. If you are modifying this case to fit the fans into the roof cavity one thing many have seen is that with the possible restrictive airflow from the normal vents you may be drawing hot air up into the roof cavity if you are in push setup and therefore recirculating warm air through rads. Am not sure how valid this is and have yet to test fully but seeing as I had the case apart again I fitted a home made ghetto blanking plate to isolate the top chamber and also reflect light back into the case.. materials? Cardboard cut to size and wrapped in tin foil.. seems to work :) Changed the res to smaller size to fit in better and also left a 120mm at front and a 140mm at rear to push in more fresh air over the HDD and exhaust itat back, think I got positive pressure. NZXT HUE+ : Aside from killing my motherboard, refusing to work several times and all the lights blowing up the first time as well ( I bought anew one) I like this device. Gives allot more control over the lights that either the built in RGB of the Evolv ATX or the RGB header on MB with the Aurora SW. I like the NZXT CAM software it uses. so much so that I added..
NZXT GRID+ V2: The Case comes with a fan hub but you have to run all fans at same speed controlled by motherboard. I decided to add the Grid+ V2 to give more control and have a integrated solution in the CAM software. Really like this device, you can setup each fan with its own curve or group them with common curves and can use either the CPU or GPU as trigger points or set some to manual etc..really good. Due to the water draining incident above my white Cablemod cables got a littel bit ruined by blue water ( you can see it in pics). there is a new set of custom cables from Mainframe Designs being built now for this machine and when they come in I will post a update.. really looking forward to seeing how they look! Hope you enjoy Tempered Tantrum ... it certainly was one! Dude the up close picture of your cpu block tubing going into your mobo block then into the rad is so perfect, almost brought a tear to my eye. Amazing build, honestly. Only thing I don't like is the glass on the back but other than that it is amazing. +1! Cheers.. yes I like that pic too, once the "man cave" has been cleaned up some more I may have some room to do some beter pics.. ditto on the galss back, though I have to deal with what Ihave so amd thinking of ways to make it a asset not a liability..
No problem. Would love to see some whole setup pictures. The rear glass is fine if nothing scratches it, although same could be said for the front. Potential replacement if you scratch the front glass? idk lol. What kind of screens are you running? At the moment I just a 21:9 29" Dell .. but eyeing up the X34P..
Ah that is annoying, but yeah tempered glass usually chips or breaks before it scratches haha. Good lord acrylic is horrendous for scratching. Gosh I am jealous, I tried out the x34P in a local store for gaming and it was glorious. I really want one but can not afford it. I'd imagine the ti could rip up that panel quite well tbh haha. Yeh I think the X34 will ahve to wait till next year, getting married this year and have a expensive weddign in Singapore and honeymoon in Africa to pay for! hard to get "she who must be obeyed" to contain her spending whilst I try and sneak another box into the man cave..
Quite the ordeal you had to go through to build this PC, but the end result is all worth it. Tell me, how did you get the CPU waterblock to glow like that? EK Plexi style water blocks have little holes in them to inseert a 3 or 5mm LED into them. Same at the GPU and Waterpump. If you look closely you can seee the led leads coming from bottom of CPU up to top of board..I use the EK ones as they come black braided already. I'm not to keen on seeing cables though with the glass on the other side...I guess soon someone will get it pimped out! Yeh the case is agaisnt a wall so you don't the backside allot, I kind of wish there was a solid backyou could put onit oo, get light blead sometimes. Will be rdoing the cabling again when I getthe new extensions, issue if I use the Cablemod kit for the powersupply and on the old build the length of cables was great, on this one you really have allot of spare cable to fit in. Considering modding the cables to make them shorter as I will a have a even harder time with extensions on. The tin foil was just a idea I had when I put in the cardboard to block the air going back into the fans up the top. I wanted to use sound deadening mat but couldnt find it easily enough so with using cardboard I needed to cover it. The tin foil acts as a reflector for the LED's that are behind the radiator putting more light down ontot he motherboard, not surre how of a diffirence it makes but can't really see the foil unless you look up into the case. I have aidea for getting some acrylic cut and frosted to replace the cardboard, will light one edge of the acrylic with white LEDS so I have a lightbox effect in roof that will alos reflectthe different colours the RGB LED's are showing. When's the Luxe tempered glass coming out? How much were all the components of your particular wartercooling loop? Will update parts list but around $600 - $700 USD witin current config including fittings. Yep, SWA was my first. I used Thermal Take 16mm OD tubes ( shoudl be able to get them in Taiwan easily!) which seemed easy to bend. Recommend watching lots of youtube videos first, and get enough tubing to practise on and allow mistakes. Jayztwocents and Paul's Hardware had good stuff, especially Pauls Arctic Panther build video as it was his first hard tube system aswell. If you look at Awesomesauce video's he did a build in a Define S I think.. it semi inspired this build. I looked at the EK rads, and as I had to limit the size to 240 to get the look i wanted I decided to go with alphacool xlfow up there. Another builder on overclockers forum got the 360 up there with saem mod as I did and connected to a radin the front aswell, may try it if temps get too bad when I SLI. No holes need to mount the res bracket as it iis not mounted, just mounted direct to the pump top which is sitting on a EK bracket that screwed straight into supplied holes in the case. The top is just the standard top of the EK X3 Lite series, I have a 90 fitting in there for connecting atube for fillign as well as the staright fitting for flow from side rad. Thanks for doubel entry find! will remove the res, for the pump thats actually correct, one is the pump and one is the pump top, you cant get a plexi top pump with a black base from EK, only silver so had to get a new pump top. In all seriousness, this is one beast PC. Powerful hardware + a beautiful case sealed with LEDs is my kind of talking. You definitely deserve this feature and a whopping +1. A gygabyte of thanks to you.. yeh the pictures ( or my picture taking ability) do not do the case and its lighting justice.. looks 10x better in flesh.. just so hard to get a good pic with that glass on. first up great build, i have this same case. and love it judging by trhe look of your top mounted radiator, how did you manage to get the fans above it ? flawless lighting of the blocks and that motherboard, love the mix of blue and purple. well done mate. Thanks.. yeh they are good, and the evolv ones are very well built..
"My PC is my baby"
I love the evolv ATX soooo much! I'm thinking of putting in either dual 360s or a 360 in the top and a 280 in the front for my future build. Really cool build man! I might have to try the PETG tubes with my next project. Were they a pain to bend\shape? Thanks, not hard to bend really. Get more tube than you need for first one just in case. Also I find using a bending tool helps, like the mandrels from monsoon.. watch plenty of youtube vids too! Everything is awesome. Everything is cool when you're looking at this pc. Everything is awesome. When you're living my dream. +1 Great build. I didn't even notice the blue spill on the cables, there is already somewhat of a color reflection on them. If I do another build, the color scheme is going to be purple/blue/white. Very nice! Thanks.. I notice them allot.. they annoy me.. I may have OCD... need the new ones to arrive.. But I would have been too upset to take a photo of my misfortune so its understandable. oh yeh.. it did look every "arty"
Its very pretty. I liked the old version as well. What a dream to be able to build to amazing computers! Great work recycling and re-purposing what you had! I've seen custom loops on overclock dot net (website) that utilize a custom acrylic reservoirs like that. They look really impressive and unique. Any idea where you'd find a manufacturer that can make custom acrylic plates like that? I can't even think about where to begin looking. Not too much to say other than that build is frickin amazing! Congratulations on featured! and your awesome build. I'm looking forward to seeing the fully completed system. I have the same case and I'm working on a build with similar parts as yours - except no custom loop. +1 for great build and for sticking with the more economic sensible 980ti's. Woah! stunning work man. Really love what you have done! I have the same case: I'm probably gonna go with 30mm thick alphacool radiators. A 360mm in the top and a 240mm in the front. 3 intake fans in the front (one will be in the basement, so there'll be no resistance by the radiator for that one) and 3 exhaust on the 360mm radiator, no fan in the rear fan slot. This will probably give my a nice balanced airflow and maintain positive pressure throughout the case. I'm probably gonna use 2200 rpm ek vardar fans, but running them around 1150 or so for a silent system. Annndd just like that you made me question my own build. Nice job mate! cheers.. why do you think I did a rebuild a month after I finshed the last build.. there is always the next thing and someone will always think of something new.. gets addcitive and bank balance destructive.. I think it woudl fit, the question you have to knwo is do you mind the top 1/4 - 1/2 being behined the radiator if you top mount or will you modify the raditor mount at top to fit fans above it? If you install in front of case it will fit if you take out the two HDD cages and remove the cover plate, res and pum will be clssoe to raditor if you mount in that area but you can mount the res agaisnt back wall etc just need to watch for clearance of GPU, shoudl fit. If you compare the pics of my build with the pics on the build you linked you see that the radiator and fans hand down to cover the motherboard in your pic where as in mine only the radiator is seen, my fans are up in the roof cavity so you can see more of the motherboard. With the formula board the motherboard port for the water cooling loop will behind the radiator and you wont see it. Ok thank you i will just build a custom system composed of EK parts and use a thinner rad. One last question what is your pump and Res Mounted on? just use the EK DDC pump mount EK-UNI Holder DDC V2 .. Res mounted directly to pump, no specific res mount with top hardline tube from rad holding it straight but by mounting it direct to pump it was solid enough. 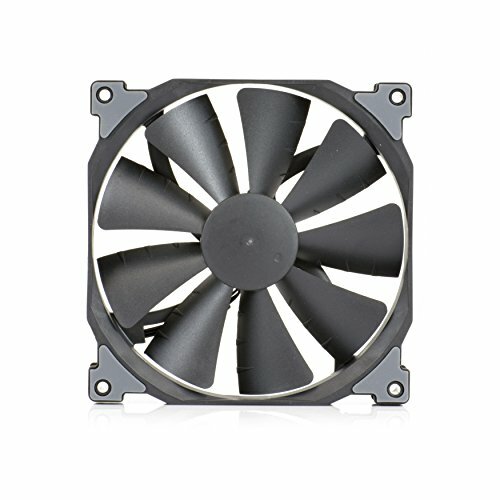 Is it possible to place a 240 60mm rad in front with the same position of your res??? Thanks for REPLYING....... last question... Did you MOD your TOP RAD mount??? from what I believed you can only mount the rad either near the back or near the front but you mounted it on the center.... So did you mod it???? Real classy build, like it alot! but i do have one question: Since i'm not a fan of the whole RGB thing, is it possible to turn off the LED's in the BIOS or in the AURA software so they always stay off. Even when you shutdown the computer. Or do I have to manually disable the LED's everytime i start up? Cause that would be a deal breaker. 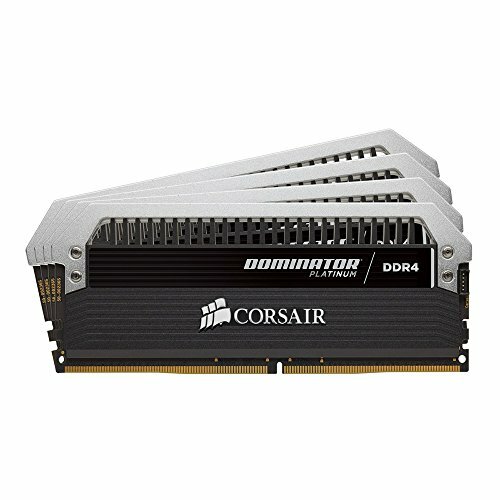 Would you recommend that water cooling system? If so, where can I buy it or the parts to it? Thats a very big question, with no real single answer. DO you wanta custom loop or a AIO solution. Seems the Corsair products for AIO are popular, depends on what you want to cool. 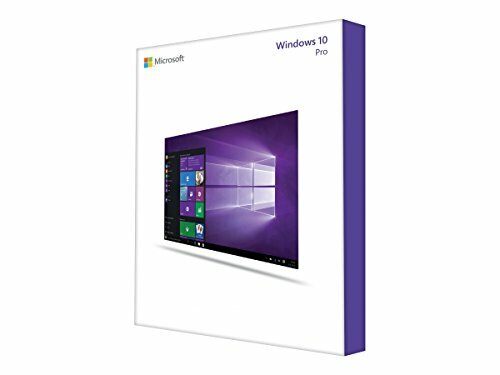 AIO wil be fine for CPU but I have not seen a AIO soution for GPU's unless it comes with the GPU. For custom loops, there are two many options I belive to say these are the parts and the brand you need. Decide what you want to cool and how it will work in your case. That will allow you to determine parts like Water Blocks needed, Pumps, Radiators and fans needed and a ROUGH guide to fittings needed etc. Decide do you want flexible tubing or harline tubing, purely a choice based on looks and skill level I believe. Lastly research.. forums and youtube showed me. Cool, thanks for the advice. I'm interested in doing a custom water loop myself. Can I purchase the parts on eBay or Amazon? I somehow want to buy this but it has so little space at the top and the Darkbase Pro 900 has better radiator support so i will go with it. Nice build anyways. Literally this whole loop order is perfect though, exactly how I want to set it up - just going to be a pain modding the case to fit the top fans. I don't have much experience in this area. Also thinking of doing the loop fluid, cables, the GPU backplate and the fans all in white, so they can "absorb" some of the colour given off by the LEDs, not sure how that would look though. Once again awesome work - envious and kind of saddened that I might not be able to build something similar! thanks.. honetly, its not that hard to build and the mods for top, if you have a screwdriver and a hammer you can do it. Just takee your time and you can do anything, this was oly the 2nd PC I built with custom loop, just wathed lots of youtube and used forums.. in the end the pateince is worth it. Intrestingly I am looking at rebuilding this now, taking out the Formula z170 board and replacing with a X99 board, upgrading to a 1080 and moving the old kit into a new Media Servia, streamer, capture machine. THough saying all that, I may just wait a bit and see how Kabylake and 1080ti maye work. The X99 looks cool and has more cores but really.. do I need it.. thats the conundrum.. Thanks for replying, good to hear the mod for the top isn't too hard. 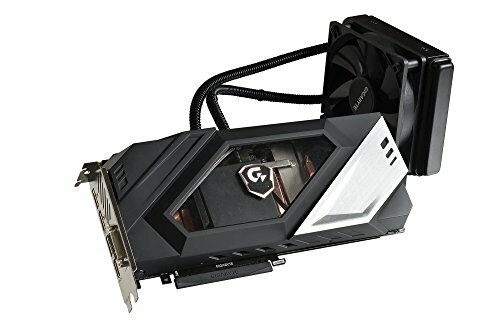 I think upgrading from a 980ti -> 1080 isn't enough of a leap. I'd personally wait for the 1080ti if I were you... that being said I haven't ever owned a PC with a graphics card, so I guess things change when you jump into it as hobby :P I'm already experiencing the pull to get the latest and greatest with the rig I'm planning to build, so I can understand why you'd be keen to upgrade. when it comes to PC parts I have a issue, I really dont ever use more than 50% of the capability of the system I use, I just always convince myself I need the best.. so by time i do build it will probably be 1080ti but really only need a 1070 at most! looking at either MSI Godlike or EVGA x99 board... I like have the PCB exposed if all black.. and yes if I go x99 I will go a caselabs case and dual loop it.. Thanks for that link! Yeah that looks like another option, seems easier to pull off too. It crossed my mind today... 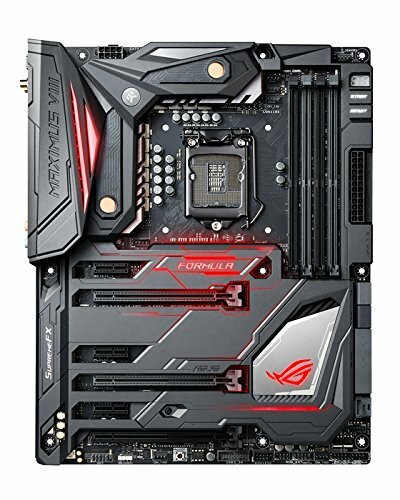 I know you said you were thinking of swapping to X99, if you do go ahead with it and no longer have use for the motherboard CPU, let me know. 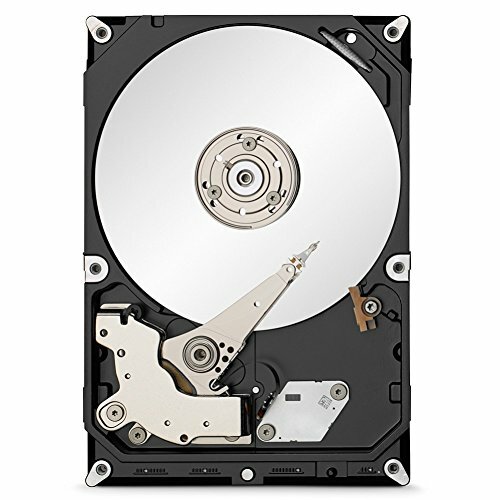 I live in Australia, and never really thought about trying for parts second hand, but maybe I should consider it :) It's hard trying to budget for a build as a Uni student haha! Looking to build in early December I think. I'm personally not a fan of the MSI board, but I appreciate the "clean" EVGA design. Then again, it's all personal preference when it comes to motherboard looks! yeh it wont be till around jan/feb next year that I will do upgrade. Just married and just ordered a DJI mavic pro so have to spread out purchases now ! As for 2nd hand parts.. yeh never quite sure on that. Unless its a well known seller I would be cautious but I am lucky that I dont have to be to budget consious. Benefits of life in Singapore with low tax rate! Looks amazing! Stumbled across this because I was planning something very similar for my next build with the Enthoo Evolv ATX + 2x Alphacool 240 rads. With two minor differences though. I love the tempered glass side panel but I can't get past having one on both sides. So was thinking of sticking with the non TG version. Secondly these are the 45mm thick rads? I was leaning towards the 30mm ones due to the limited space for a clean and open look, but I'm not as confident with modding the top as you did. Thanks for sharing your build! I have this same GPU and I was Wondering... Did you leave the stock backplate on or did you replace it? If you did replace it, how did you do so because I found myself one screw away from removing the backplate for painting, when I realized... the last screw was a deadbolt. Hi there. I used a new backplate from EKWB. Didn't have any issues renjoying, maybe look at ek website, they have the instructions on there for installing a new backlate. I love how you solved the radiator problem, gj! love the build. Any future upgrades planned? Hello friend, im planning to buy this case to make a custom loop, my first one. I have reading some things about the case not having native support to put a reservoir in the way u put it, so my question is, did u had to make some new holes to the case in order to place the reservoir + pump there? of u buy like a bracket or something pre made for this case? Any response will be very helpful, thanks! btw nice build! thanks and appreciate the recognition..
oh and btw.. Canon IXUS 135 and a Galaxy S7! This is Amazon Pc Part Picker version, reviewing is necessary. Looking back, yeah it is nice to put effort into comments. THose are Thermaltake 16mm PETG tubes, you have to bend them with a heatgun. I use a monsoon mandrel to help, if you look on youtube there a few videos about it, Jayztwocents is best I think for getting watercooling advice. I have never seen all back fluid but guess you could dye it? you can get coloured PETG/Acrylic tubing though that may be easier and just run distilled water with some additives? On the cable managment side, yes from the front it is so easy, and the back has lots of options. Issue with this case is that the back is glass too! my issues werent really with the managment setup but the cablemod cables, good cables but too long for this case so I had to stuff allot in next to the PSU. When I added the GRID+ that helps a bit as I manged to keep all the fan leads and thick case cables to the elft side channel, will update pic when I get the new extensions. Yeh you can get Cablemod cables in custom lengths if you ge tthe customised cables using the configurator online. I just got the standard kit for the RX850i in white, I could just get a new custom sett or try DIY..